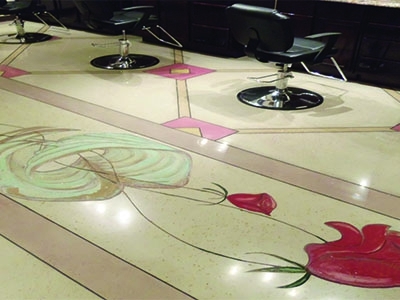 The possibilities for decorative concrete are vast and only limited by the creativity of designers and concrete contractors. 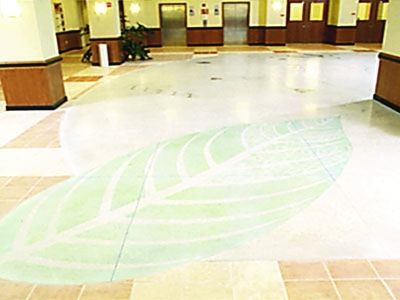 There are various techniques to achieve the desired look of decorative concrete on horizontal and vertical surfaces such as: stamped, textured, integral and dust-on, colored, acid etch, dye (water and solvent), stampable overlays, self-level overlays, micro-toppings, stencil, engraved, form liners, diamond polished, sandblast, exposed aggregate, and coatings. Rapid Set Cement can be used for precast elements while TRU PC, TRU Self-Leveling, and TRU SP are ideal for decorative flooring.